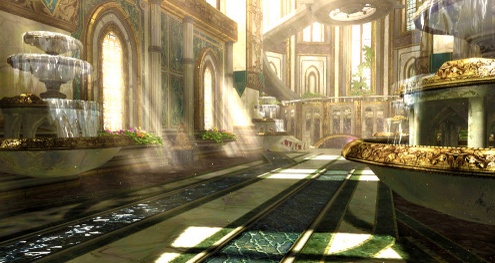 Bayonetta 2‘s cities and waterways were heavily inspired by European architecture. Bayonetta 2‘s October release date is fast approaching, and the developers at Platinum Games have been giving updates on the game’s development on their official blog. 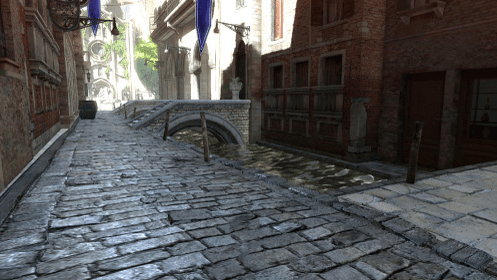 The latest update comes from Platinum’s lead environmental artist, Hiroki Onishi, who recounts the team’s trip to Italy and Belgium, and how the locales influenced the design of Bayonetta 2‘s central location, Noatun. The developers’ first stop was a visit to the Royal Palace in Belgium. This had a profound impact on many of the game’s buildings, inspiring grander and more stylized designs thanks to the opportune visit. “The trip ended up being more rewarding than we could’ve imagined,” said Onishi. Next was the Church of Our Lady in Brussels, where the developers were mesmerized by the church’s stained-glass windows and the reflections they made on the floor. 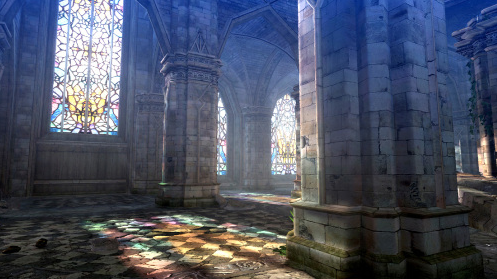 Onishi stated, “These kinds of antique glass have a high transparency that clearly reflects color onto walls and floors when hit with sunlight.” Platinum went to great lengths to recreate this in the game, which became a favorite location amongst the developers. The stone walkways and geranium flowers of Florence, as well as the architecture of Venice were crucial to the look of Bayonetta 2‘s world. 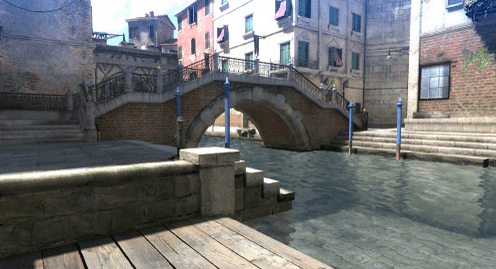 Finally, the waterways of Venice, which is the city’s primary means of transportation, was something the developers felt needed to be conveyed properly in the game. The developers at Platinum Games seem to be going to great lengths to make the world of Bayonetta 2 look as beautiful and picturesque as the locations that inspired them. “It was a new experience for all of us, and it gave us some slight culture shock. 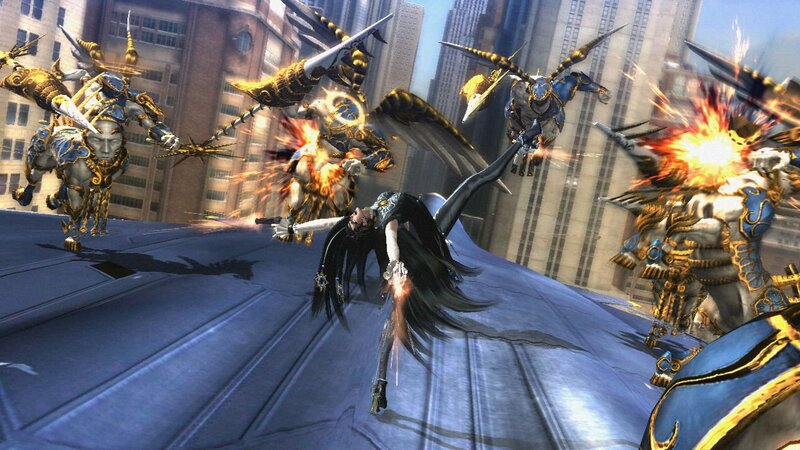 Yet I think it was things like these that gave Venice a unique artistic quality that was interesting to express in the game.” Bayonetta 2 is set to be released October 2014 exclusively for the Wii U.